In the SC18 Exhibits, you’ll have the opportunity to discover the latest products and solutions from more than 350 innovators joining us from around the world. Come seek out new ideas in HPC, networking, storage, and analysis to help you remain on the leading edge in your profession. SC’s exhibitors include a mix of manufacturers, research organizations, and universities. Supported by the powerful SCinet network, SC uniquely enables exhibitors to showcase the full capabilities of their products and services for either large-scale or one-on-one demonstrations. Discover how to exhibit at SC, with information including the SC18 Exhibitor Prospectus, online application, Exhibits floorplan, and the Exhibitor Manual. Learn how to promote your company or organization at SC by engaging in one or more of the many sponsorship opportunities offered. No other event puts you in front of more than 12,000 HPC professionals. Reserve space! Get the inside scoop on special promotions and incentives from exhibitors. Technical presentations by manufacturers, vendors, and HPC service providers. The largest, most comprehensive resource for organizations in the HPC industry. Learn about network requests and the network policy, or explore becoming a SCinet Contributor. 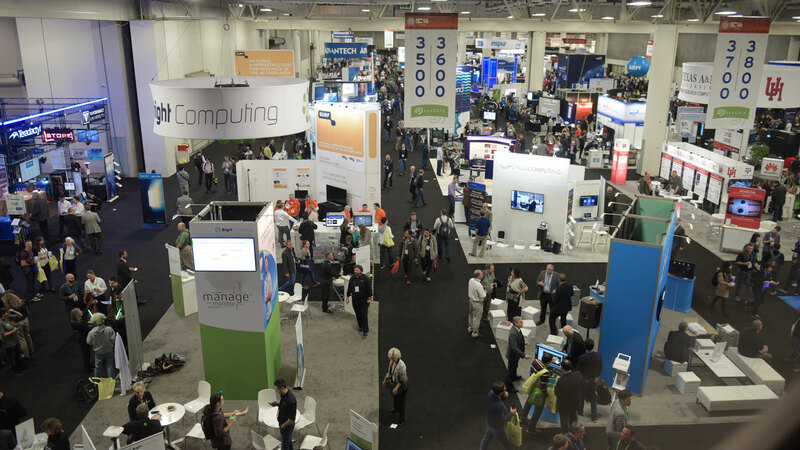 Learn more about the advertising and promotional options available at SC18.